Nikiti – Porto Koufo: 20 nautical miles. strong winds reduce the safety of the anchorage. sheltered. Very good quality sandy seabed that offers good holding. 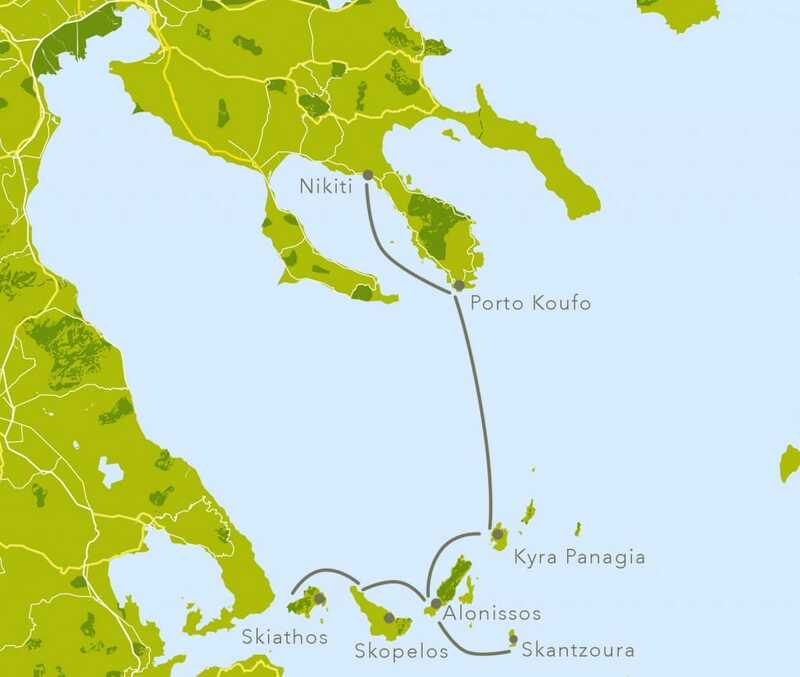 Skopelos (western part) – Skiathos: 12 nautical miles.